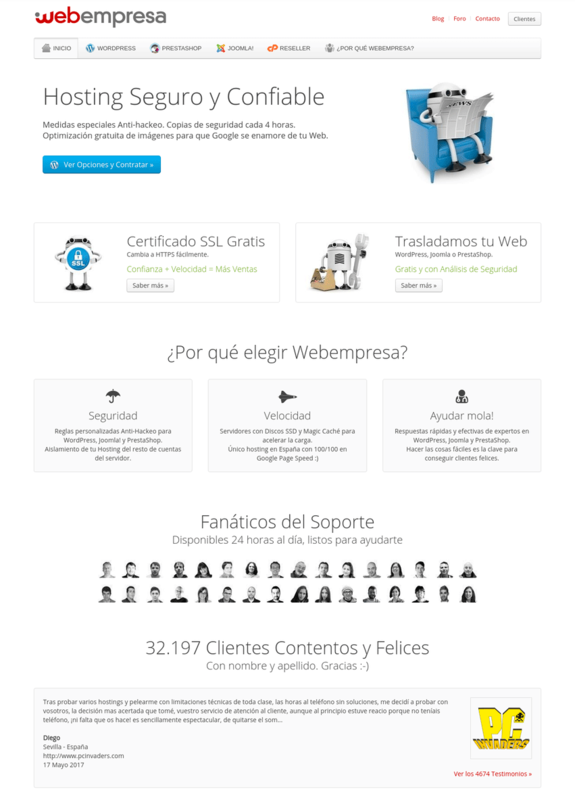 Webempresa is a Spanish hosting company providing high-quality hosting services. It uses EU data centers to host your servers and websites in order to comply with LOPD (the Personal Data Protection Act in Spain) and offer Spanish IP. Webempresa also offers a high quality support center 24/7 (30 minutes delay) and affordable hosting plans to host your online store and websites. They are experts bringing WordPress hosting services, as well as PrestaShop and Joomla. The hosting company has over 32,000 happy customers.